2V dome- able to make larger/add on? Title: 2V dome- able to make larger/add on? Hey! Made a 2V dome last year for a burning man event in Korea. It was about 8'' high and used the 30 A struts & 30 B struts. I still have all the PVC from last year, but wanted to make it bigger this year! Forgive me if this is a stupid question, but I''m able to just continue the pattern down for two more "rings" to add height/width, right? I could figure out the pattern, and just get more PVC of the appropriate lengths, right? Thanks so much! 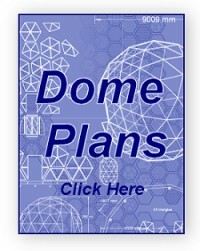 Just want to make sure by checking with the dome community before I draw, calculate, and purchase!